The Item Customization System that was pushed back to January will finally hit our servers on January 15th! With this new system, the player becomes the “Crafter” who is able to customize certain aspects of their weapons, units, and technics! To get a better understanding on how the Crafting System works, let’s discuss the three major features. 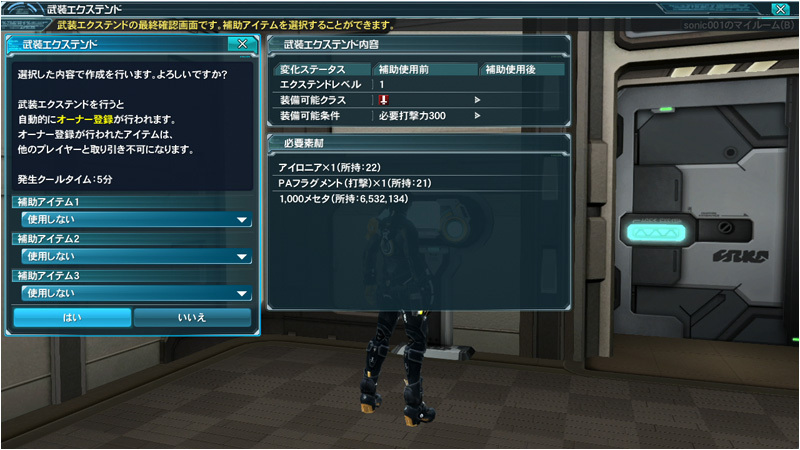 The “Equipment Extension” system lets you rewrite the performance of your weapons and units. 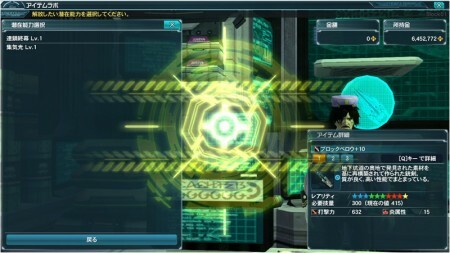 Unlike the Item Lab where you increase the item’s performance through grinding, the Equipment Extension system lets you overwrite the item’s base stats. 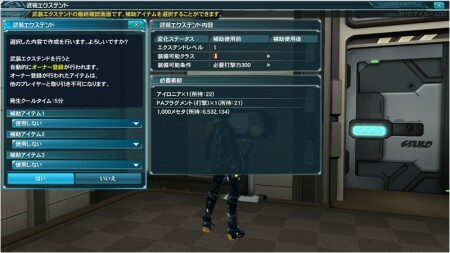 For example, an item that can be acquired early in the game like the “Vita Sword” has 251 base S-ATK. Using the “Beginner Weapon Extend Level 1” recipe, will change its base stats to 531. Use the Equipment Extension system to bring those dusty old weapons to the battlefield! The Equipment Extension system will accept up to 10 star weapons and up to 11 star units. The value that you get after extension is based on the “extend level” of the “crafting recipe.” Whenever you start out, you’ll use a level 1 extend recipe. Extending high rarity equipment will drop their values (temporarily). By raising the extend level you’ll subsequently raise their base stats. In the reverse situation, extending low rarity equipment will increase their base values. Though at the end of the day, top of the line 10 star weapons may still end up weaker than expected. But there’s one important point to consider, as you extend an item, its base stats are standardized, and special parameters attached to the weapon are lost. 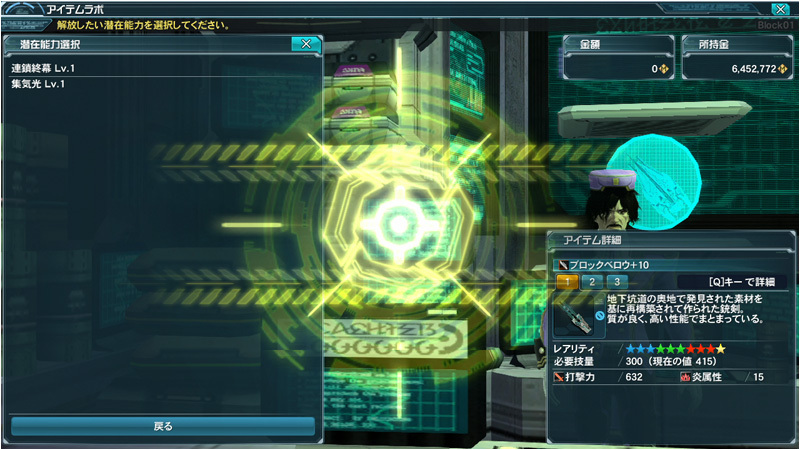 These lost parameters include things like whether the item had special conditions (was it an all-class item?) or if it had special stats (was it a striking weapon with T-ATK?). 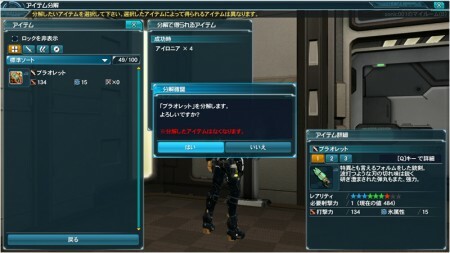 However, if you achieve a “great success,” you can gain additional classes for your item. 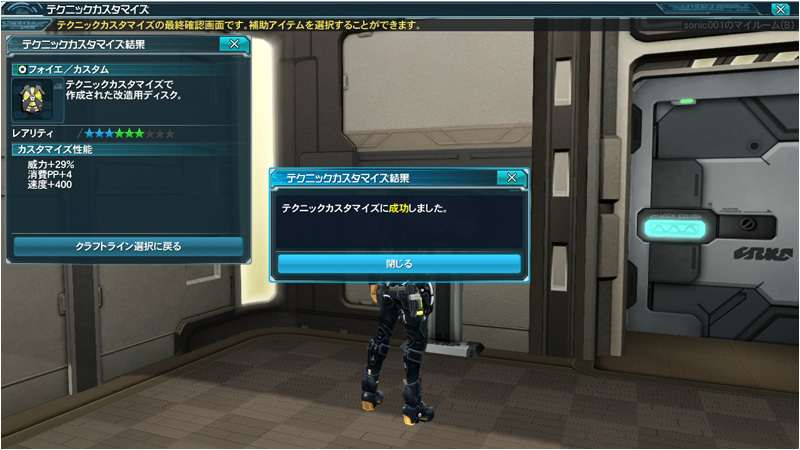 But if you re-extend the item and go up an extend level, these special parameters are lost again. Fear not, extending the item again from the same extend level will increase your chances of achieving a “great success.” This will allow your item the chance to regain some additional classes. Also check out the notes section below. 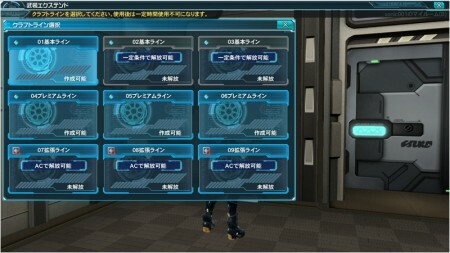 This system lets you customize technics in various ways, like affecting its power and speed, or adjusting its hit number and range, among other things. Along with it comes both positive and negative effects known as “Merits” and “Demerits” respectively. For example, a merit could increase the technic’s power, but a demerit may bring along negative aspects like increasing PP costs or extending the charging times, etc. Merits and Demerits exist along a range of values so there’s a chance you can craft a technic where the positive values outweigh the negatives. Good luck! Customized Technics also gain a special visual effect. 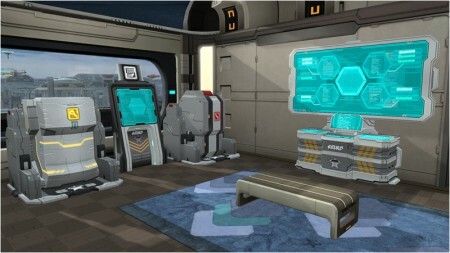 You can perform crafting services from the My Room Terminal, or check on various information at the Visiphone. Crafting is available in My Rooms and Mini Rooms. The crafting system has two kinds of outcomes; you can either “succeed” or “greatly succeed” but never fail. For example, by “greatly succeeding” you can “increase which classes can use an item,” or “increase the ‘merit’ values,” or “increase the number of materials gained through Item Desynthesis,” among other things. Similarly to the ‘titles’ system, you can unlock achievements by satisfying specific conditions. In addition, unlocking these achievements can help increase your crafting levels. As the crafting level rises, a bonus may appear in the crafting process. There are 9 crafting slots (or devices) to choose from. When crafting an item, the crafting device will immediately display the results. While one device is cooling down, you can select another device to craft from as long as that device is available (May need to be unlocked through some means, or bought with AC, etc). There are different kinds of recipes that can be used to craft an item or technic. You can learn new recipes by unlocking specific achievements. You can search for other players and order crafting services from them. Display crafting requests from other players. Slightly reduce Equipment Extension’s cooldown times. Some weapons will allow you to select from a list of potential abilities, even if one was already unlocked. For example, if “Potential A Level 1” was already unlocked, then on the next occurrence, “Potential A Level 2” or “Potential B Level 1” will display among the list of choices. Pick the one you want and apply it to the weapon. Increase the power of charged technics. Active duration extended. Recast timing adjusted. At level 10, Wand Lovers will be active for 60 seconds instead of 30, while the recast time is set for 90 seconds instead of 45. The evasive action will change from Mirage Escape to Step. Step attack is also available. With these changes, an “All Skill Tree Reset Pass” will be distributed. Katana’s Step and Step Attack animation speeds adjusted. Asagiri-rendan’s step cancellation timings adjusted. More PP from normal attacks with the Katana. For Rare Mineral and Egg Code Collects: The operator will relay the item’s approximate whereabouts in shorter intervals of time. 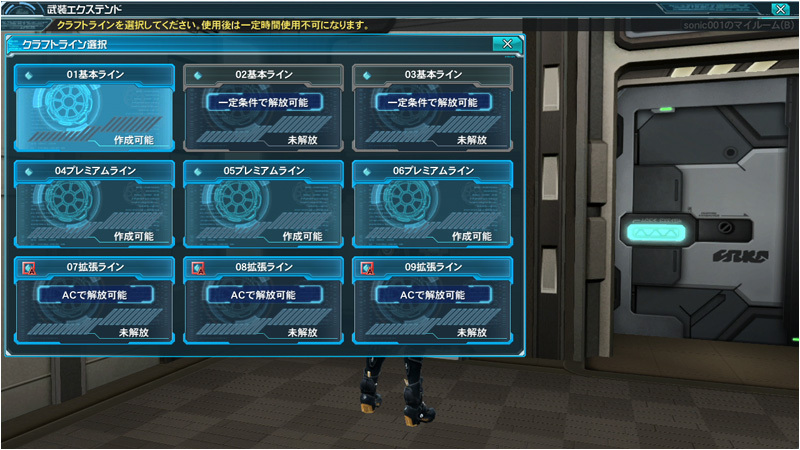 Adjusted the range in which the collectable items are displayed. For Insect Fossil Code Collects: The operator will relay the item’s approximate whereabouts in shorter intervals of time. Lucky Bag G distributes items as a set! Also, no maintenance January 1st. These are just observations noted in screenshots and videos. Of course the information above and below is not exhaustive and we’ll learn some new aspects when the time comes. 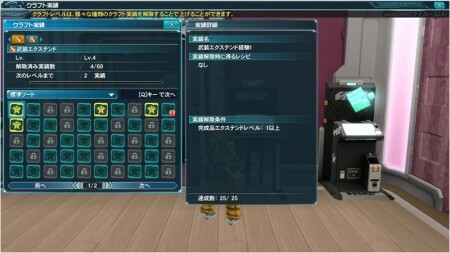 Each weapon crafting recipe has beginner, intermediate, and advanced recipes, and possibly more for those 10 stars. All of these recipes have an extend level attached. 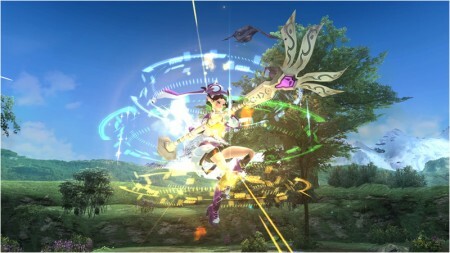 The Beginner recipes require 1 through 3 star weapons, while the intermediate recipes require 4 ~ 6 star weapons. Requires: 1 ~ 3 star weapons. Requires: 4 ~ 6 star weapons. Each type of recipe may require a set list of materials. For example, so far we know Aironia is required for beginner recipes. However, Rubiard (which you can obtain through ‘great success’ ) and Stinia were needed for Intermediate recipes. But NOT ALL intermediate recipes require Rubiard. Some wanted more Stinia than the previous level. Maybe 7 stars gives you one set of materials, and 8 stars give you another set, or maybe it’s based on the weapon category? We’re going to have to chart this thing out eventually. To see how the balancing comes into play, take a look at the extend values for these two items. Ext. Level 1 for Coat Edge has base stats lower than an Ext. 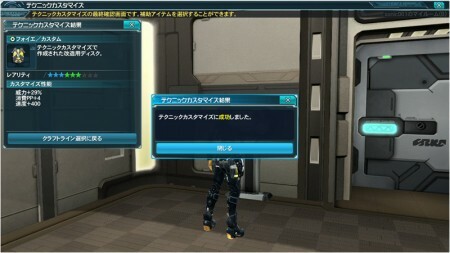 Level 1 Vita Sword. Perhaps the more advanced recipes will start you off poorly until you extend or grind them? But how long will it take to reach the advanced level 1 recipes and what sorts of materials will they require?